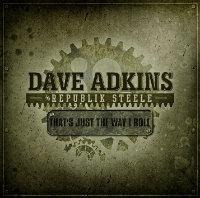 Rural Rhythm Records announces an exciting new album release available today, THAT’S JUST THE WAY I ROLL, by Dave Adkins & Republik Steele. “Snazzy stuff for real people that still want some music they can feel and believe in. Well done,” said Midwest Record in a new review for the album. Submit your Bluegrass News to: News@PrescriptionBluegrass.com ___ Tune in to: Prescription Bluegrass Radio EVERY WEEK for the best in Bluegrass Music! Check the “On Air” Tab at www.PrescriptionBluegrass.com for times and dates.